It's been proven that kids who eat dinner with their families eat more nutritiously, feel less stressed, and perform better in school. However, every parent knows that daily demands often make it hard to plan, shop, and put meals on the table during the work week. These easy kosher recipes for family dinners are designed to help you give your children the nourishment and support they need. 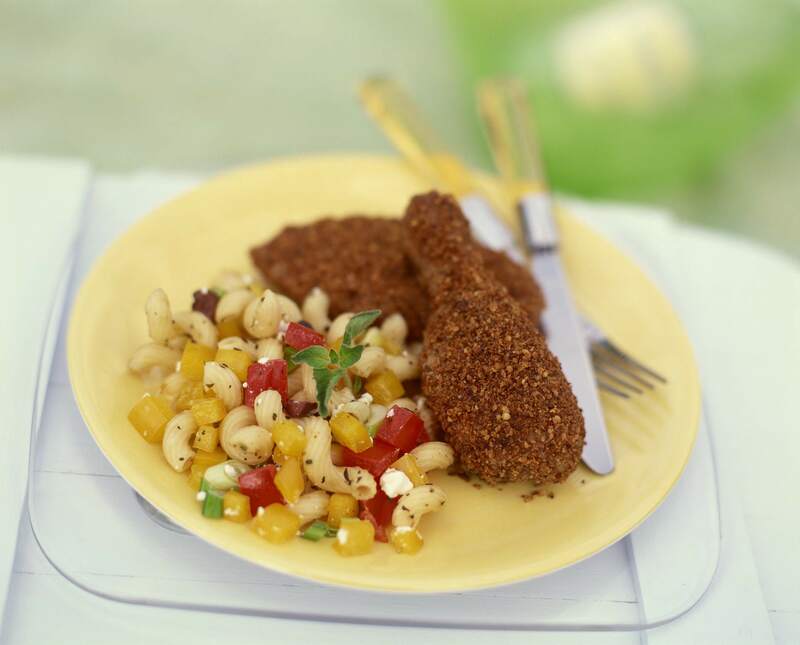 This recipe for breaded baked chicken is quick, easy, and healthier than fried chicken. Serve this with potatoes and a fresh lettuce salad for a simple, crowd-pleasing meal. This recipe calls for spinach, but it's easy to substitute other fillings. You can vary this vegetable cheese lasagna every time you make it by changing up the filling based on what's on sale or in season. If you get into the habit of having a weekly lasagna night, your family won't get sick of it. This spinach and cheese pasta is a perfect go-to recipe on busy evenings. It can be easily prepared in just 10 minutes, and it contains a starch, protein, and green vegetable all in one. Even the pickiest eaters can't resist the combination of cheese and pasta. This fried rice contains a balanced meal in one dish–carbs from rice, protein from eggs, and nutrients from vegetables. It's easier to prepare then you would expect and is a great way to use up leftovers. For a vegetable-packed meal that your children will love, try this light, colorful, and tasty tuna pasta salad. It only takes 10-15 minutes to prepare and is perfect for summer nights when it's too hot to turn on the oven. Leftovers make a convenient lunch the next day. If your kids are always hungry, these will meatballs hit the spot. This recipe is easy enough for children to make by themselves, which teaches them responsibility and lets the family bonding start before you sit down around the table. These sloppy joes are a crowd-pleasing classic. If you have vegetarians in your family or want to have ice cream for dessert, you can easily swap out the ground beef for a meat substitute. If you have leftover roast chicken from Shabbat, cut it up and add it to fresh herbs, lemon juice, and mayonnaise. This is the foundation to a great Sunday lunch, or leftovers that can be used for sandwiches throughout the week. What Are Some Delicious Kosher Brisket Recipes?